In Part I of the book, I first describe principles of hypoplasticity using simple 1D and 2D versions, which are straightforward to follow. This is demonstrating how two primary properties of hypoplasticity – non-linearity and asymptotic behaviour – are incorporated in the models. 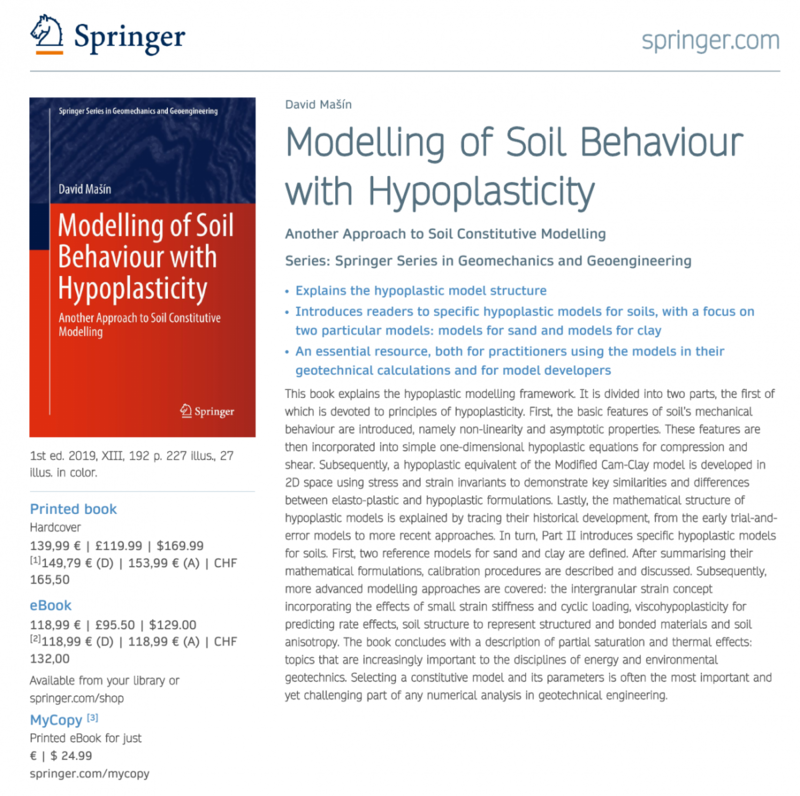 This demonstration is accompanied with explanation of experimental evidence on soil behaviour and with a brief overview of other possible modelling approaches. Then, full tensorial formulation of hypoplastic models is described and explained. In Part II, two specific models are introduced: model for sand and model for clay. They are described in detail and it is explained how to properly calibrate material parameters. Finally, advanced extensions of the models are covered, aimed to predict the effects of small strain stiffness and cyclic loading effects, effects of structure, rate effects, stiffness anisotropy, partial saturation and thermal effects. I hope the readers will find the book useful.